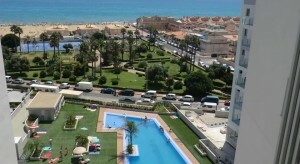 RENTALS in the La Mata and Torrelmata area of Torrevieja To see more rentals use the Scroll bar. 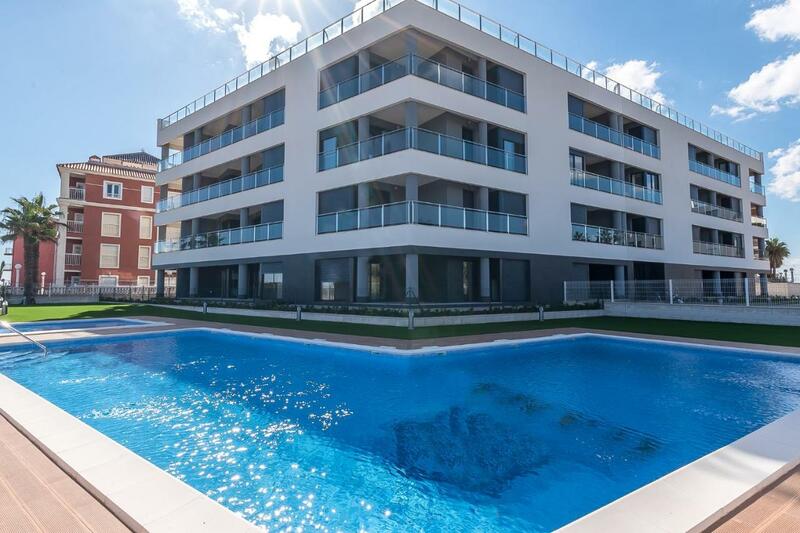 Torrevieja Apartamento-Playa La Mata features fully equipped apartments with access to a seasonal outdoor pool and a garden. Located in Torrevieja, the beach is 800 metres from the apartments. There is 1 person looking at these apartments. More .License number: VT-446301-A. 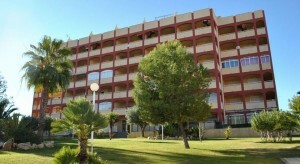 Torrevieja The Torremar apartments are set in a quiet area of Torrevieja, 750 metres from Mata Beach. La Mata Pinada beach apartment is located in La Mata. Housed in a building dating from 2017, this apartment features free WiFi. This air-conditioned apartment is equipped with 2 bedrooms, a satellite flat-screen TV, and a kitchen. Private parking is available at the apartment.–La Mata Pinada beach apartment offers an outdoor pool. This property offers a terrace.—La Mata Beach is 3.7 km from the accommodation. The nearest airport is Alicante Airport, 38 km from the property. This property also has one of the best-rated locations in La Mata! Guests are happier about it compared to other properties in the area. This apartment is also rated for the best value in La Mata! Guests are getting more for their money when compared to other properties in this city. RENTALS above are in the La Mata and Torrelmata area of Torrevieja To see more rentals use the Scroll bar. La Mata – Costa Blanca. La Mata, also known as LaMata and TorreLaMata, is one of the fastest expanding towns in the whole of Spain, but if you’re coming to La Mata, try to sample the delights of everything that we have. We have learned a few lessons from places like Benidorm, because here, you’ll find no high-rise skyscrapers or package holiday hotels and also because La Mata is orientated towards families and couples, you’ll find no night time trouble with lager louts etc. 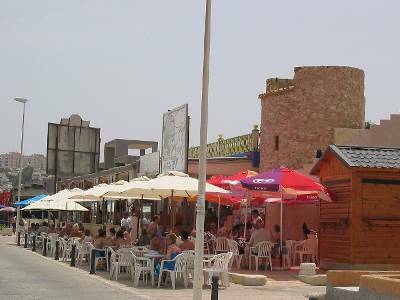 La Mata is a developing Tourist Centre and one of the most important on the Mediterranean Coast. However, you’ll find it’s not nearly as commercialised as the Costa Blanca resorts to the North of Alicante. Bathing in the salt lagoons is also becoming popular for many medicinal reasons. The local climate makes it an ideal location for year round holiday activities. Especially, if you want to fulfil that yearning for a round of golf during those dreary winter months in the sunnier parts of Europe. On average, we enjoy 320 days of sunshine per year and an average daily temperature of 17?C. Temperatures in July and August are typically 30?C. Many people prefer the months when the weather can be near perfect: April, May, June, September, October and November. Although the local banks are mainly Spanish, all banks in La Mata have English speaking staff, and will cash travellers cheques, change currency and have cash dispensers that accept all the popular cards including Visa, Mastercard, Switch, Cirrus and Link. Go down to the beach and walk along the front, at lunch times and in the evenings this area and the surrounding streets are a hive of activity, with many busy cafes, restaurants and bars. The activity continues into the early hours. These streets also offer many shopping opportunities. Every Wednesday is market day. Torrevieja 5 km, Valencia 217 km. It takes approximately 30 minutes to get to the airport of Alicante by the coastal road the N332. With over 320 days a year of sunshine, it makes it an ideal getaway during the winter months of the year, even if just for a few days. It’s surprising how a few days of sunshine can cheer you up.